Founded in 1872, Dwight School is an independent school located on Manhattan's Upper West Side in New York City. It was the first school in the United States to offer the comprehensive International Baccalaureate (IB) curriuculum (Primary Years Program, Middle Years Program, and Diploma Program) for students from preschool through grade 12. It was also the first in New York City to offer the IB Primary Years Program. Celebrating its 140-year-long tradition of excellence and innovation this year, Dwight School was the first in the US to create an overseas campus in 1972, which was the forerunner of today's Dwight School London. Today, it continues to be a pioneer in international education. 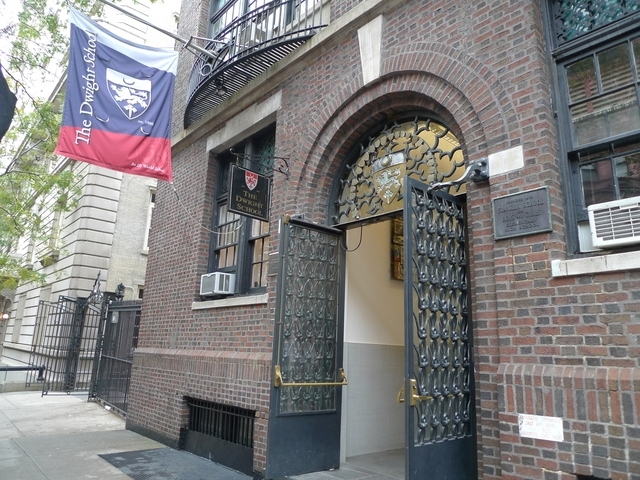 With a world-class faculty and students representing over 40 countries, Dwight School is a vibrant center where its commitment to personalized learning has earned the school the number-one ranking in New York City for the lowest student-teacher ratio of 1-4 among private schools by The New York Observer. Dwight Seoul emerged as a result of Dwight being selected over 120 schools by the Seoul government to open a model IB school for students in grades K-12. Dwight Seoul's 200,000 square foot campus was officially completed in July 2012 and opened its doors to 330 students on day one. The campus, located in Seoul's bustling Digital Media City, provides the ideal setting for Dwight’s Center of Excellence in technology and innovation. In September 2014, Dwight and the Shanghai Qibao High School launched Shanghai Qibao Dwight High School, the first non-profit, independent, Chinese-foreign collaborative high school approved by the Shanghai Education Committee. This exciting development will afford Chinese and international students in grades 10 through 12 the opportunity to attend a new three-year, full-time boarding school in Shanghai. For more information about this programme, click here. Dwight has now opened its first campus in the Middle East — Dwight School Dubai, expanding our global network of leading International Baccalaureate World Schools and introducing opportunities for our students to participate in additional trips, and enriching curricular and cultural exchange programmes. Dwight School Dubai shares a "super campus" totalling nearly one million square feet with Brighton College Dubai and the Centre of Excellence for Arabic Language, Culture and the Arts in the heart of Dubai, creating a world-class educational destination for up to 4,000 students combined. Dwight offers K-12 students the IB curriculum; Brighton College, a top UK coed school, offers K-12 students the British curriculum; and the Centre is dedicated to the development of intra-cultural exchanges, facilitate both teacher and student development, as well as promote a deeper understanding of the rich Arabic history and traditions. Dwight has long pioneered opportunities for students to become innovative global leaders and our new school in Dubai will join those in New York, London, Seoul, and Shanghai that share this mission, said Chancellor Stephen Spahn, the longest-serving head of an independent school in the U.S. He continued, Dwight School Dubai will be a model in the Middle East of how to integrate local strengths to enhance learning and create mentoring opportunities beyond the classroom for students, while also equipping them with the IB skills needed to communicate and collaborate across national borders to solve challenges on a global scale. We look forward to the numerous benefits our new school in Dubai will afford students here in London in the years ahead, such as trips, exchange programmes, and much more.